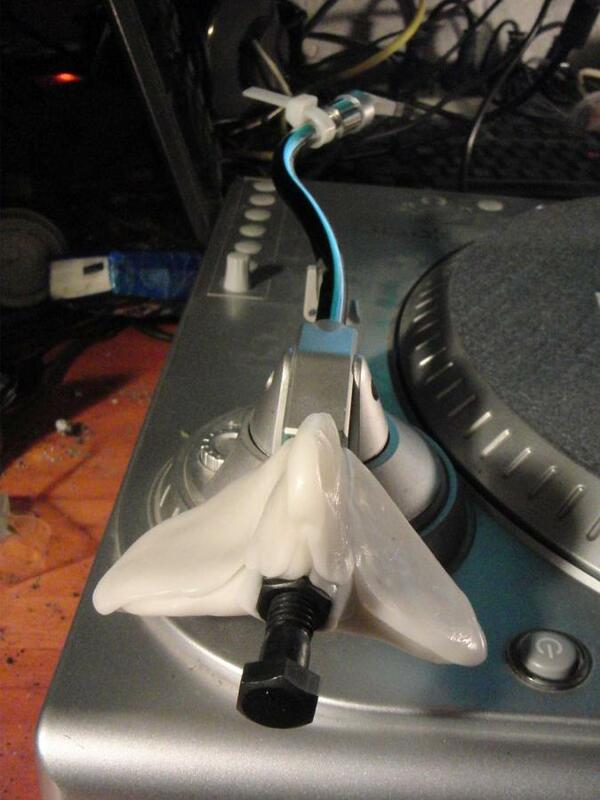 Andrew recently lost the counterweight for his turntable. Instead of purchasing an expensive replacement (if it's even available for sale) he fashioned his own using Plastimake. Plastimake is too light to act as a counterweight by itself, so a heavy nut and bolt were embedded to provide sufficient mass. 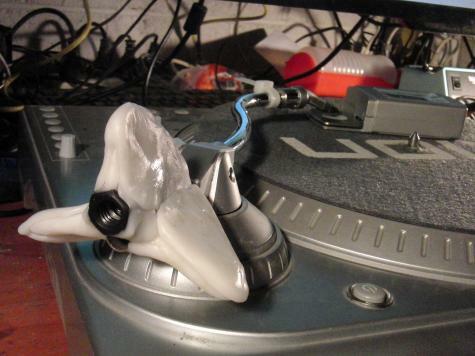 By winding the bolt in and out you can easily make tiny adjustments to the balance of the tone arm. The sleek aeronautical design doesn't have any impact on audio fidelity... but it does look pretty damn cool.